Claims for investment losses are usually subject to mandatory arbitration before the Financial Industry Regulatory Authority or “FINRA.” The rules and procedures of FINRA are different than traditional lawsuits, so it is important to hire attorneys well-versed in securities arbitration to handle your case. Our attorneys have an extensive understanding of the securities laws and FINRA policies. We also benefit from our practical experience in and around the securities industry. Attorneys in the Business Trial Group have worked in brokerages, earned MBAs, and spent decades as defense lawyers for the biggest Wall Street firms. 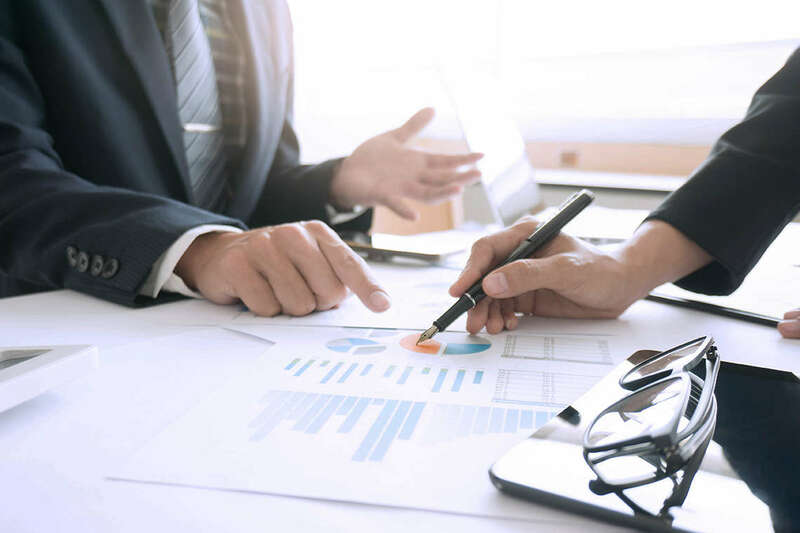 With the support of a 300-plus attorney firm and the resources necessary to take on the most complex investment and securities cases, the Business Trial Group is dedicated to achieving the best possible result in your case. If you believe you have suffered investment losses due to broker misconduct or negligence, the Business Trial Group may be able to help. Because we represent clients on a contingency fee basis, we only receive a legal fee if we are able to recover compensation on your behalf. For a no cost and no obligation case review, please call us at (877) 667-4265 or fill out our case review form today. The Business Trial Group represents investors who have suffered losses due to broker fraud, negligence, or mismanagement. Our clients include individuals, companies, and investment funds that have suffered losses in stocks, bonds, options, mutual funds, currencies, annuities, real estate investment trusts (REITs), and other types of investments. The Business Trial Group attorneys have handled hundreds of FINRA arbitrations throughout the country and are well-known by the attorneys defending Wall Street, regional brokerage firms, and investment banks. How Does a FINRA Arbitration Work? Most investor fraud cases are resolved through arbitration. Arbitration is generally quicker and less formal than a courtroom trial. An investor fraud case is usually resolved by a panel of three arbitrators appointed by FINRA, instead of a judge. These arbitrators will preside over hearings during which both sides may offer testimony to support their claims or defenses. The arbitration panel then usually issues its decision within 30 days of the final hearing. The average FINRA arbitration takes approximately 14 months to complete, which can be much quicker than the average court case is resolved. FINRA also offers a “simplified arbitration” in disputes seeking damages of less than $50,000. Simplified arbitrations are presided over by a single arbitrator and are typically resolved quicker than regular arbitrations. Financial advisors should not make an investment recommendation without first understanding the client’s investment objectives and risk tolerance. In addition, financial advisors have a duty to disclose all material information regarding a recommended investment and explain the risks associated with it. If your advisor breached these duties, our attorneys may be able to help you receive compensation for the damages you suffered. Review and analyze your financial statements to help determine if securities fraud occurred. Work with financial experts who will calculate the extent of your damages and offer testimony regarding the securities fraud. File a Statement of Claim with FINRA describing how your broker or financial advisor acted inappropriately or violated his or her fiduciary duty; the Statement of Claim may also detail the amount of financial damages you suffered as a result of the securities fraud. Manage the discovery process and gain access to the documents that are relevant to your claims. Submit documentary evidence to FINRA in support of the allegations of securities fraud. Represent you in all aspects of the final FINRA hearing. We represent investors who have suffered losses in their savings or retirement funds because their brokerage firm or financial advisor committed fraud, acted negligently, or failed to act in their client’s best interest. It is important that you regularly monitor your account for broker misconduct. If you have suffered significant losses on your investments, our attorneys can review the trading history of your account to determine if investment fraud may have occurred. Churning: Churning occurs when a stockbroker recommends frequent trading solely for the purpose of generating commissions. Our attorneys will review your account statements and determine if your broker has advised you to make excessive trades. If churning has occurred in your account, we may be able to help you recover compensation for your losses. Unsuitability: A broker has a duty to “know his or her client.” Your financial adviser must discuss with you the level of risk with which you are comfortable and invest your assets accordingly. If a financial advisor recommends securities that do not meet your risk tolerances and investment objectives, and you suffer losses, your may be entitled to legal relief through a securities fraud lawsuit. The attorneys at Morgan & Morgan can review the investments in your portfolio to determine if your financial advisor has invested your assets in securities that are unsuitable for your objectives and level of risk tolerance. Breach of Fiduciary Duty: A securities broker has a fiduciary duty to act in the client’s best interest at all times. This duty may have been breached if your investment adviser puts his or her financial interests ahead of your financial interests. For example, if a broker sells certain mutual funds or other securities because he or she will receive a higher rate of commission than similar, better performing investments, you may have grounds to file a breach of fiduciary duty lawsuit. Over-Concentration: Diversification is an important component of a successful investment portfolio. When a stockbroker fails to properly diversify your investments, leaving your account exposed to only a few securities or a single sector of the economy, you may be able to recover your losses through a securities fraud lawsuit. Our attorneys can evaluate your investment portfolio to determine if you have grounds to recover compensation against your brokerage firm. Unauthorized Trading: In general, a stockbroker must obtain your permission before buying or selling securities on your behalf. If your broker fails to receive approval prior to executing a trade, he or she may have broken the law. Furthermore, a broker cannot exceed his or her authority by receiving commissions on trades that are not suitable for a client’s account. Mutual Fund, Bond, or Annuity Switching: Similar to churning, this type of securities fraud occurs when a financial advisor recommends a client sell a particular group of mutual funds, bonds, or annuities and then repurchases a nearly identical instrument to generate a commission for the broker. Margin Claims: Our securities fraud attorneys handle cases involving brokers who negligently recommend that customers borrow on margin to purchase securities and then require the customer to sell the securities, without prior notice, to pay off the margin balance. If you believe that your broker has recommended that you trade on margin solely to generate revenue for the brokerage firm, you may be able to recover your losses through a securities fraud lawsuit. Ponzi-Scheme Victims: Our attorneys represent the victims of Ponzi schemes and other types of financial theft. The Business Trial Group handles investment and securities cases on a contingency-fee basis, so you do not need to pay any fees upfront to fund your case. Rather, we only receive a fee if we recover money for you. Essentially, when we take on your case, we become your partner in recovering damages. Because the contingency-fee model aligns the financial interests of the client and attorneys, our only incentive is to obtain the highest possible recovery in your case. If you believe you have suffered losses due to broker misconduct, contact us immediately for a no cost and no obligation case review toll-free at (877) 667-4265 or fill out our case review form today.